Before any treatment begins the skin must be cleansed and daily environmental impurities removed. Removing oxidants and replenishing our natural essential oils provides a foundation for healthy skin. 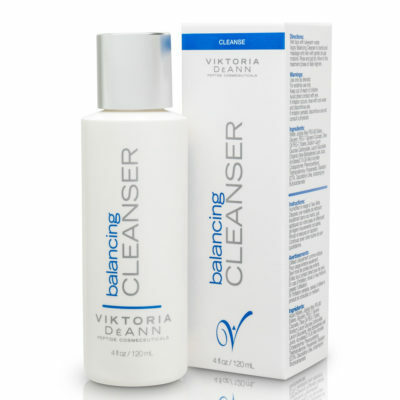 Viktoria DeAnn’s cleansers provide these cleansing capabilities while supporting the skin’s natural moisturizing factors to keep skin properly hydrated.